The Denver and Liely Limited Batch Whisky glass is now in stock! Get those whiskies ready as they about to take on another dimension. Grab your glass and come exploring with us. The Denver & Liely (D&L) Whisky Glass came about from an exploration into the diverse and often mysterious world of whisky. 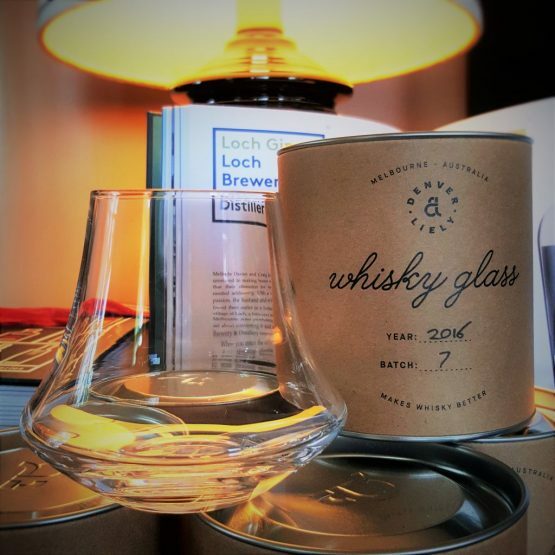 Traditionally the tumbler has been seen as the vessel of choice for the majority of whisky drinkers and the ‘whisky snifter’ relegated to the small group of true whisky tasters. D&L have now combined these worlds. The wide base maximises the surface area of a standard measure, funneling the aromas through the tapered body to the optimally sized opening. This reveals the whisky’s full character. The D&L whisky glass allows true exploration into the depths of your favorite drop. Neat / on-ice / cocktails – whisky the way you like. After much research, development and professional testing at many of Australia's gin distilleries and across many bars internationally, Denver and Liely have released the much anticipated Limited Batch gin glass! Designed for the old school gin cocktails and the new school sipping gins, this glass will bring a new sensory level to your gin experience. Grab your glass and come exploring with us.